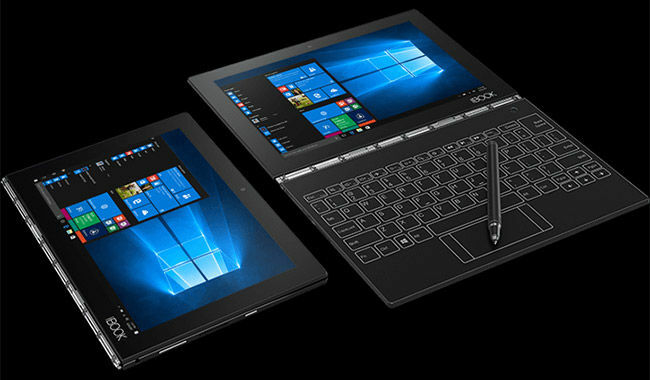 Later this year, Lenovo is expected to release the second-gen Yoga Book 2 and thanks to a demo from Intel at COMPUTEX 2018, we might have already seen a big preview of its Tiger Rapids reference design. Intel intends to showcase the capability of its new 8th Generation Core processor in dealing with both traditional displays and E-ink panels at the same time through the dual screen ultraportable. 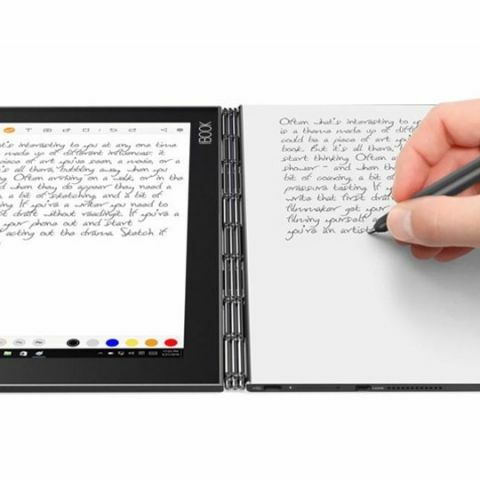 Back in 2016, Lenovo launched the original Yoga Book as a notebook that got rid of the traditional keyboard and replaced it with a touch-sensitive keyboard layout that also allowed a paper notepad to be attached on top and sketched on with a digital stylus to generate digital counterparts of analogue work. According to Lenovo, the Yoga Book was received positively by most customers. The Yoga Book 2 aims to solve the issues that the original entailed. For instance, Lenovo realised the despite the convertible form-factor, most people were using the notebook in the laptop mode around three-fourths of the time. Users wanted something more to do with the lower panel. While not officially confirmed, the Yoga Book 2 will feature an LCD touchscreen along with an E-ink touchscreen with a customisable keyboard layout. Lenovo has also assured a better inking experience on both screens. According to what it looks like, it is logical to expect features like handwriting recognition to show up, along with a high-performance CPU powering the thing, most likely the upcoming Kaby Lake Y. The same is most likely going to be a part of Intel’s own Tiger Rapids prototype. There is going to be a significant difference between Intel and Lenovo’s Tiger Rapids prototypes. Intel’s screens come in smaller sizes. Additionally, the platforms that Lenovo will come with for the Yoga Book 2 are unsure. The demo unit was running on Windows, and Lenovo did mention that PC use was way more than a tablet, which can overrule an Android option. In terms of an official reveal, Lenovo has said nothing beyond “later in 2018”. It might just happen at IFA like its predecessor. Intel is clearly pushing the twin-screen design and expect more manufacturers to show up with the same. Which is the better choice an Ink jet printer or a Laser printer?